I'm so happy that Sweet Indulgences Sunday's linky party is getting bigger and better every week. Last week's party featured some of the best dessert recipes out there in the blogging world. I want to thank everyone who returned to the party last week and those who accepted my invitations and joined for the first time. I hope you'll continue to do so! I realize the importance of networking in the blogging world and I believe that linky parties are one of the best ways out there to find other terrific food blogs and to invite those bloggers into your world. So, if you host a linky party yourself, please feel free to post a link to your party in the comment section below. I would love to join your party! Thanks for joining every week, Lisa. You make such great desserts! I'm always so happy to see your recipes! The party is starting early this week because my cousin is getting married this afternoon! It's going to be a full day! Thanks for hosing Kim. I am enjoying the fun...and all the great recipes! 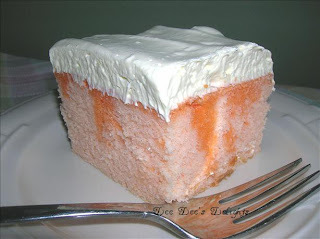 Thanks for the invite to post my Creamsicle cupcakes :) I am here and happy you found me on Lemon Drop! I added my Mini Pecan Pie Muffins. Thanks for hosting! Love your site. THanks for the sweet words and invite on my blog. Love what you do here. I linked up some treats for ya! hi! i linked up a couple of goodies for you! Don't forget to come over to savory sunday and share a recipe or two!! Have a great weekend!! Thank you for visiting my blog :) I love new linkies!! Especially if it has anything to do with sweets. Love all the sweet stuff but I shouldn't. Thanks for hosting. 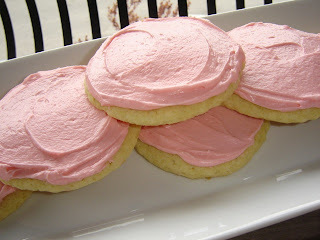 Love the dessert linky party! Gives me some great ideas for our Memorial Day party. Glad to see so many new and familiar faces this week. It looks like a great linky party. I've enjoyed visiting each site! Thanks so much for the invitation to link up and for hosting! I linked up my espresso cupcakes and pb cup cookies! Everything looks so yummy!!! I just added a few more of my favorite dessert recipes....Country Blueberry Pie, Velvet Elvis Cupcakes and Whoopie Pies! They all look great, Allison! Thanks for sharing them. Thanks for the invite to add the cookies and cream cookies! Thanks for hosting. The desserts all look delicious! Kim, thank you for the invitation to your party! I'm excited to see your recipes--they look amazing so far! I LOVE Gooseberry Patch cookbooks and I'm glad to see that you do, too! Thank you for stopping by Katie's Cucina and inviting me! Thanks for the invitation to your party!! I love looking through the recipes.